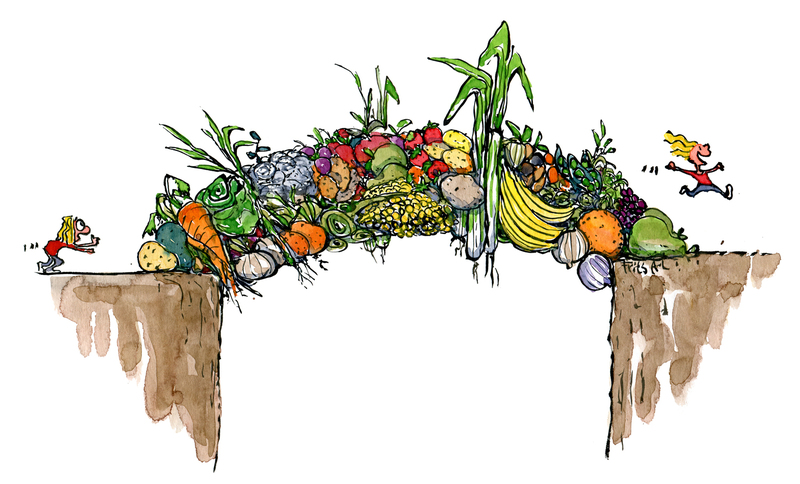 From diets to disruption – A collection of strategies and bridge metaphors we use to get across a difficult place or gap. 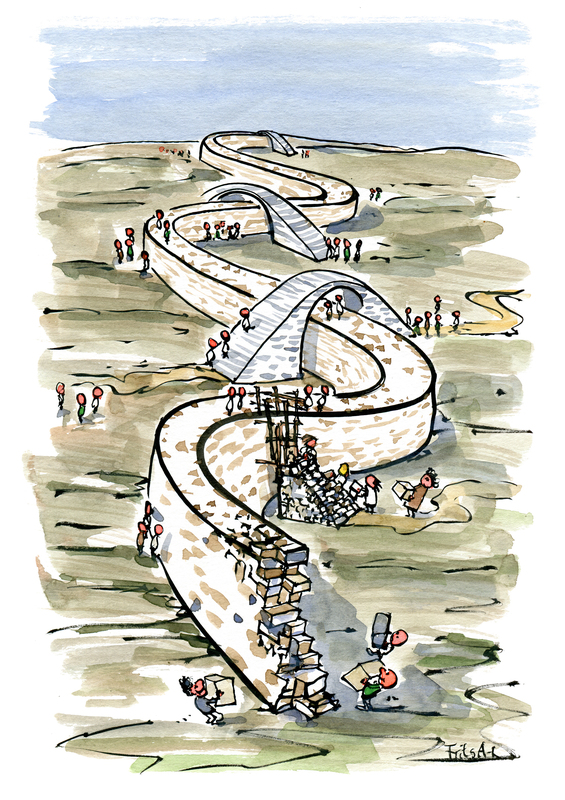 Societies, companies, institutions, cities and people all build practical bridges. These practical bridges might not be pretty, but they work just fine. 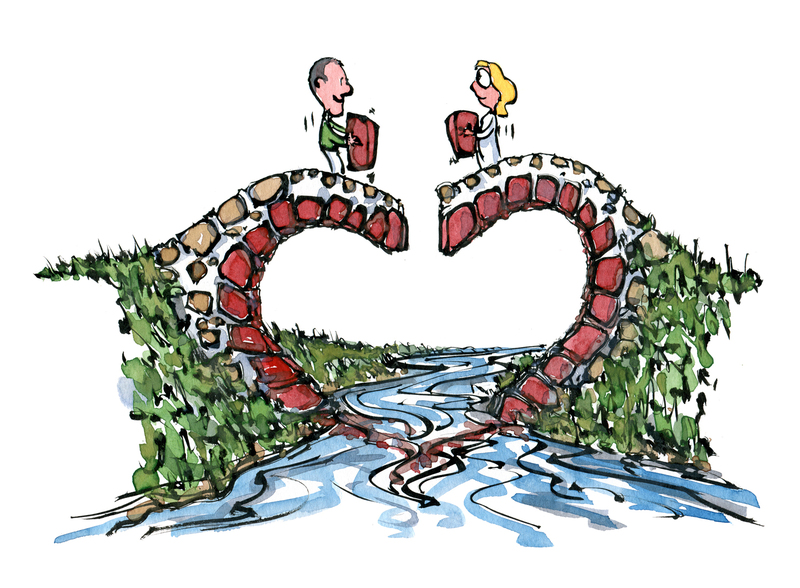 A practical bridge can be a relationship, software, a tool, marriage, car etc. something you don’t care much about, as long as it works. 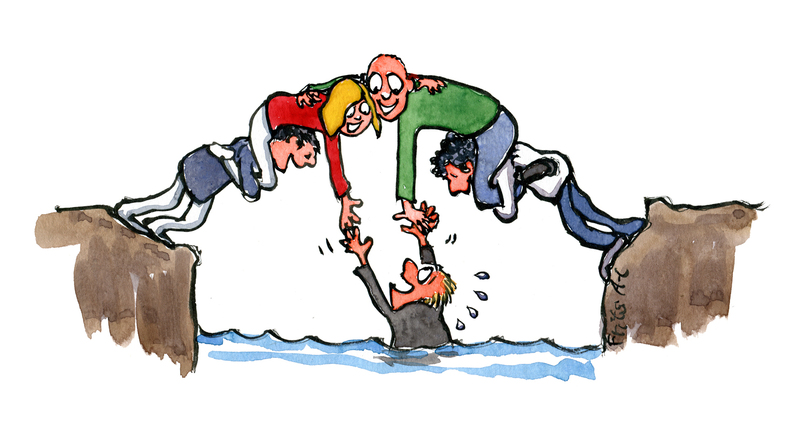 Practical bridge-building can be seen when people find a compromise or path forward, that few really like that much, but most can accept just enough to continue their daily routines without dipping their toes in the water. 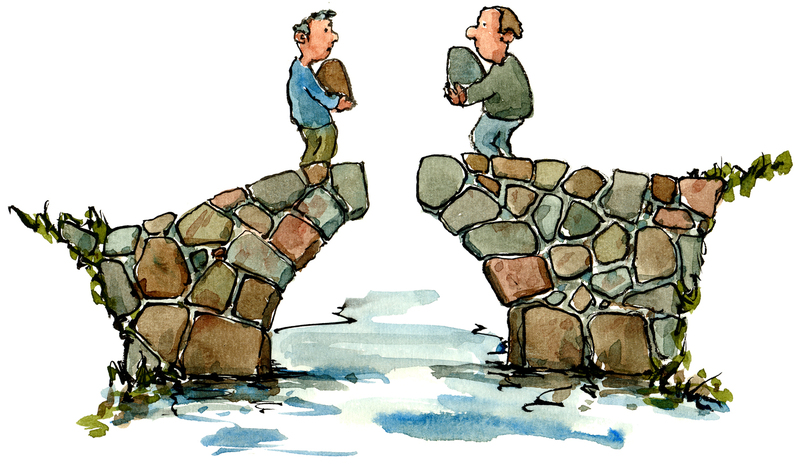 When the bridge is not only about being a practical solution, but about feelings and passion, bridges tend to look different. A Passion Bridge is a more emotional and demanding version of relationship between two sides. Passion bridges need not only to work, but to “feel good” to be on or watch. The classic example is how we look at modern marriage, or when Apple changed how people looked at the computer, from being a practical tool that could get things done, to be a loved piece of one’s identity. Where practical bridges is about getting from A to B, passion bridges is also about identity and emotions. When people go on a diet, start training for a marathon, buy a 12 weeks self-realization web course, or sign up for meditation… Or buy the: “All new, innovative, magical Nano-magnetic belt”, that TV-shop promised could make them 58% more attractive and successful in just two weeks, they step onto a Change Bridge. Building bridges with words is what a lot of meetings, Powerpoint presentations, therapy, counselling, debate, lectures, conferences and brainstorming sessions try to do every day. 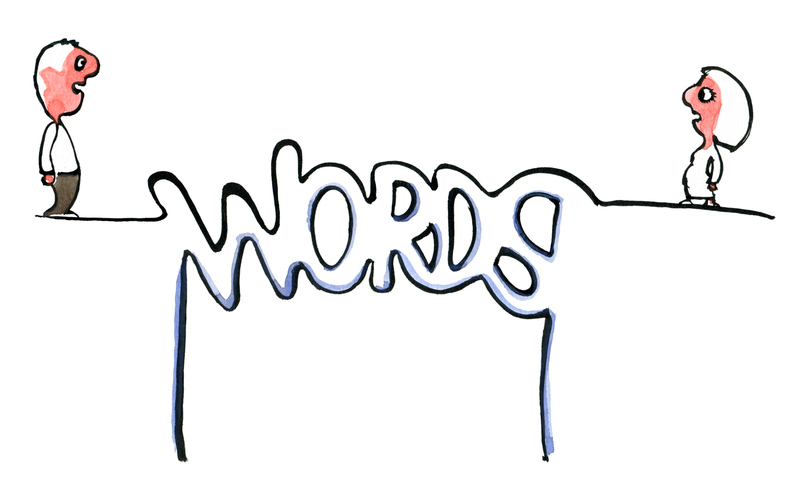 And the amount of words we globally use now, the amount of reports, books, briefs, resumes, information and theory published every year is growing at a staggering speed, as more and more people all over the world get into the art of building Word Bridges. Can we talk and drink coffee all the way across to a better understanding? Word Bridge-builders believe we can. Connecting with words, stories and explanations actually works… sometimes. Unfortunately it is often impossible to see the difference between a word-bridge that works, and a Word bridge that will fail you. Making walls and then bridging them seems to be a very popular activity today. Wall-Bridges use a similar logic to that often seen in sports: Dividing the playing field and identifying people as either them or us. Two hard working teams of insiders and outsiders. Allies and competitors. The challenge is often that all focus is on the game, the wall and the bridges, little energy and resources is left to figure out what is beyond the playing field, the wall or the two teams. 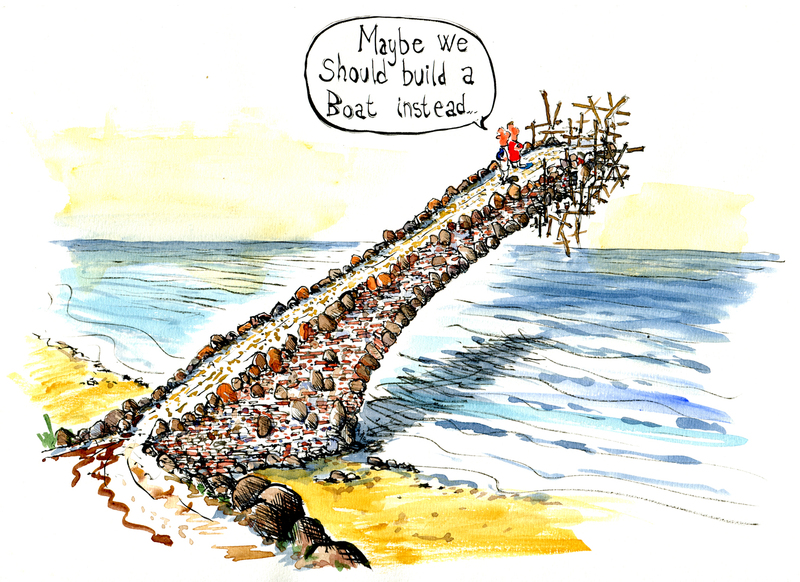 Why build a bridge at all? – Let’s do something else instead, somewhere else… Going back to Zero, starting on a fresh, disrupt and brainstorm is getting fancy. It is the “Lets burn this one down and go to planet B instead” solution on a global scale. And the “Now let’s all be open and think outside the box” strategy on a more local scale. Today “disruption” is becoming one of the favorite strategies and words for both a lot of politicians, start-ups, consultants, spin-experts and miracle doctors. The reason could be that it is so much easier to tear things down and start from scratch, than to continue on a structure, company, society, marriage, job or endeavor, when things get tough or difficult. Bridges of people might be the most ancient kind of bridges we have. 50.000 years ago our brains were as smart and large as today, the only difference is that we have come to rely more on external build bridges and structures, and less on the dynamic community, peer, tribe and storytelling bridges and structures that supported our ancestors. First: Our reality change so fast today, that nobody really know what kind of bridges we need tomorrow, or where. Second: It is much cheaper and easier to have people create solutions together themselves, instead of building permanent structures around them to support their movements and thrive. Among the places these “people bridges” are being used today are in all kinds of communities and in recovery: Veterans, school-teachers, doctors, parents, patients and seniors are getting together to support, and help each other in networks of peers today. Third: Peer and network bridges are more fun and engaging to make, they help us relate, support and laugh, overcome challenges and tell stories together, in a very unique and enriching way, that none of the other bridges can do. From practical bridges to passion, to change, to words, to walls, to disruption to network bridges. Somehow all these bridges use the same bridge-metaphor to visualize how to get from A to B, across a difficult passage, situation or lack of understanding. For many years modern society has focused on building practical bridges: Infrastructure and institutions that could safeguard the citizen’s passage through life and reality. But today this reality is changing faster than new physical structures, rules and firewalls can be put up. We simple don’t know what to put up instead of church-marriage, classic blackboard schools, steel-armored armies, courthouses, wig wearing judges, and horse-shoe-chaired democracy when reality moves online. The most flexible of the bridges strangely seems to be the network-peer bridge. It’s the oldest, and even those tiny ants know how to make it: To connect as a community, and together become a vessel, a rescue-chain, a dancing machine, or a bridge, depending on where our new online reality might take us. Best part is that to build this takes practice, and that practice builds better thrive, relationships, and is more engaging and fun for all.